Did you know a Home Care client is seen by a nurse 9 to 12 times over a 60-day Medicare episode? That’s only 12 hours of nurse contact out of 1,440 hours. In today’s healthcare environment, outcomes are critical. If an agency has too many rehospitalizations, it can find itself quickly losing referrals or out of a network completely — potentially closing a business altogether. enabling your clients to get the right care at the right time resulting in better outcomes. Get the insights you need to deliver enhanced care based on your clients’ specific needs. 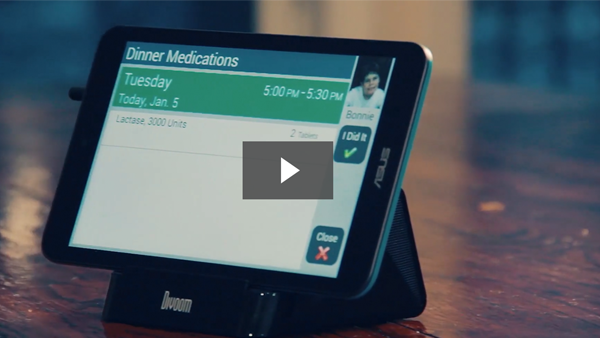 Learn how remote care can make caring for your patients easier. Help your clients stay on track of their care plans and receive real-time updates when changes occur and intervention is required. Collecting data isn't enough. You need to be able to collect the right data that will positively influence your decisions. Learn how remote care will keep you at home longer. Connect with us to learn how to keep your clients happy, healthy, and at home, even when you're not there.